For most of us, black tie events are few and far between. So, while the chance to experience such a formal function is always exciting, it can also present a challenge. After all, navigating the rules of black tie attire and then executing them in style can be daunting for even the savviest dresser. Luckily, we’re experts in the field and can help you nail the perfect outfit for your next formal occasion. 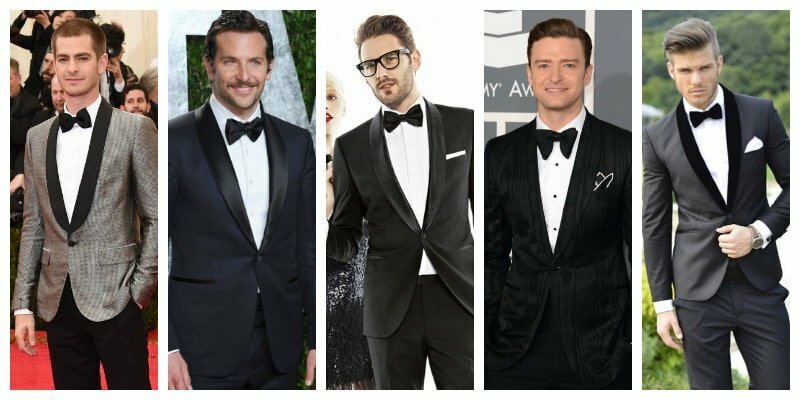 Below is our guide to the black tie dress code for men. 2 What is Black Tie Dress Code? 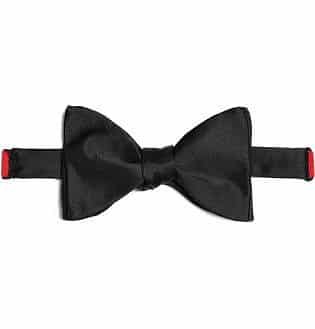 A black-tie event is a formal event or party that takes place in the evening, generally after 7 pm. More sophisticated than regular social gatherings and business functions, a black tie event requires a highly polished style of dress. Typical black tie occasions include balls, galas, and formal weddings. What is Black Tie Dress Code? A black tie dress code denotes formal evening wear and is the highest level of dress, beside white tie. The most important tip when wearing this attire is to keep things simple. Classic black tie outfits should be tailored to perfection, meaning that all components should skim your frame appropriately. 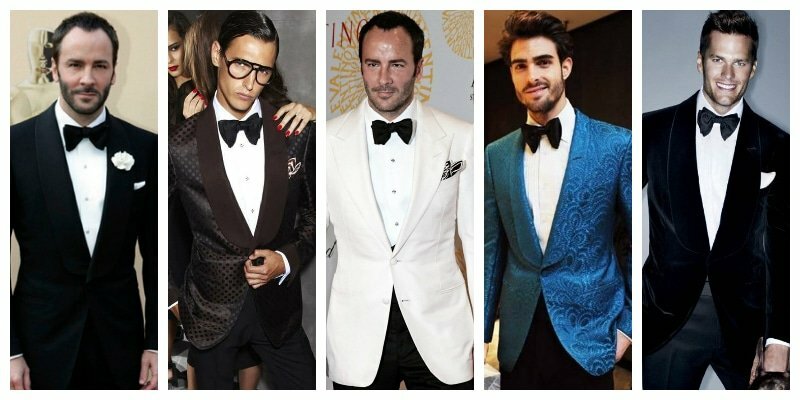 A black tuxedo is one of the most alluring options, given that it can be worn countlessly and won’t date. 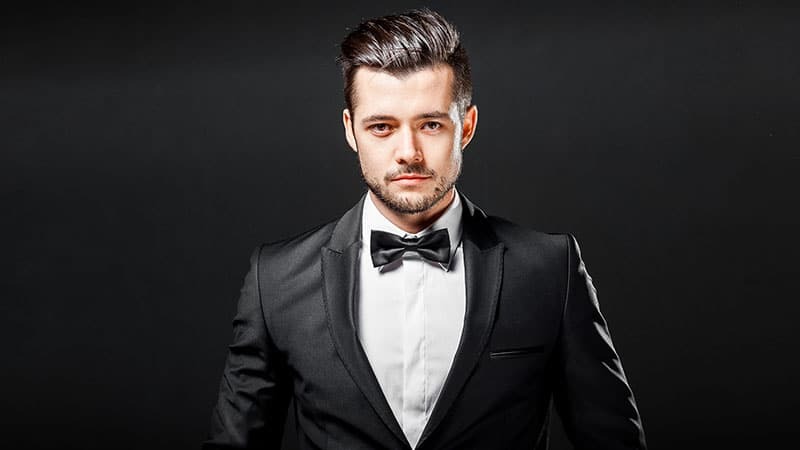 However, there are many other outfit elements to consider when preparing for an event with a black tie dress code, including the style of your tux, shirt, and accessories. 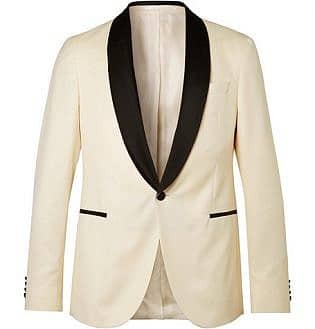 Opt for clean, sleek lines when trying out potential tux jackets. Keep looks minimalist, ensuring your black tie looks withstand the test of time. 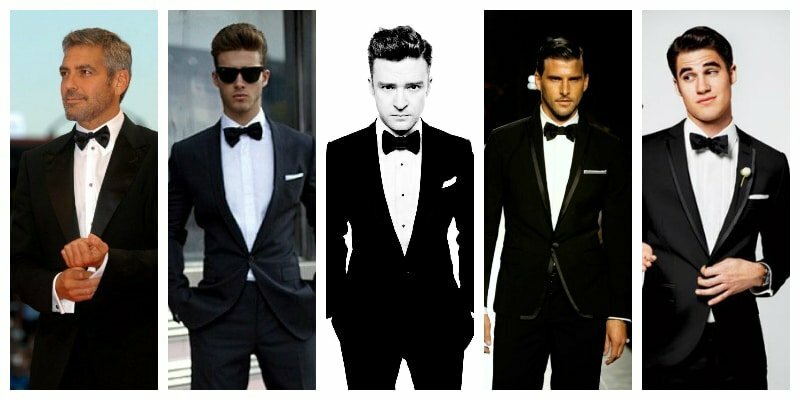 A well-tailored black tuxedo is the best option for a classic look that won’t date and can be worn time after time. That said, there is something wonderfully dimensional about a deep midnight blue tux. This colour option will not date and will work incredibly well with specific skin tones, adding a subtle twist to classic looks. 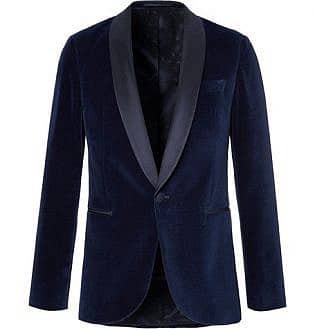 Alternatively, a velvet dinner jacket is a worthy alternative, lending vintage references to black tie attire. When opting for a velvet jacket, go for a subtle black pair of trousers to ground the looks. Regarding lapels, you can choose between peak or shawl styles. More popular, peak lapels are well structured and are incredibly useful for enhancing the broadness of shoulders and overall shape. 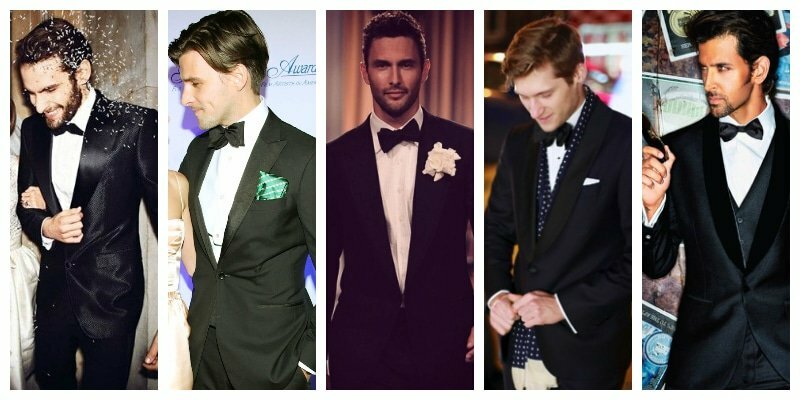 Simplistic and universally flattering, tux blazers with peak lapels work well with different body types and heights. 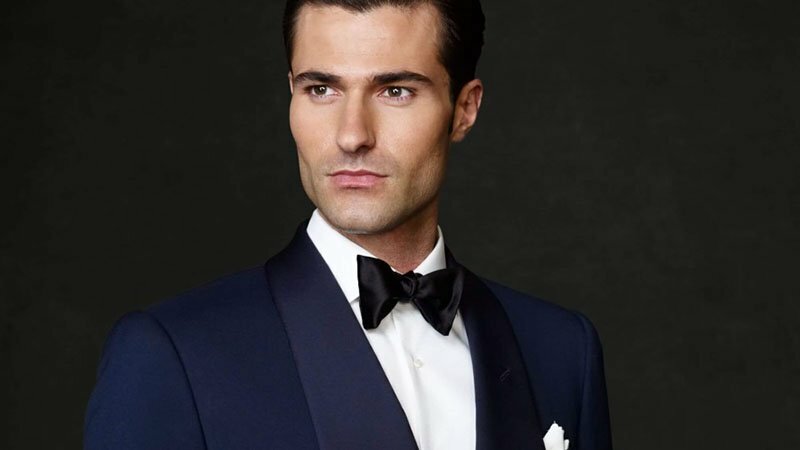 The shawl lapel tux boasts a smooth conjoined lapel. 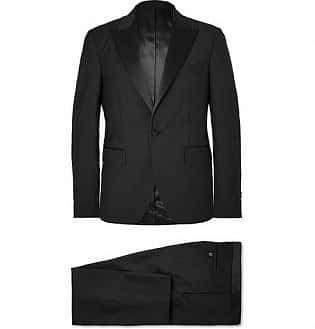 Sleek, clean and minimalist, this style of tux will lend a more stylish shape to black tie looks. 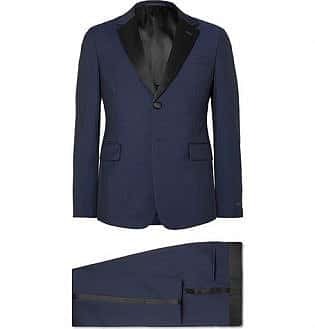 Keep the proportions in mind when trying out this tux style ensuring your look is complementary to your build and the other components of your attire. 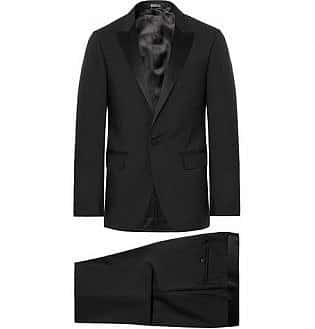 Tux trousers should match your jacket unless you have opted for a velvet jacket, which should be paired with a grounding, black pair of trousers. A simple, yet crucial element is to ensure that your trousers are hemmed, and are not too long, nor too short. Ensure you tailor your trousers as this will elongate your proportions suitable for formal looks. A slim fit tux tends to be a flattering cut for most body types, and registers classic, yet still looks youthful. As with all the components of black tie wear, keep things simple. 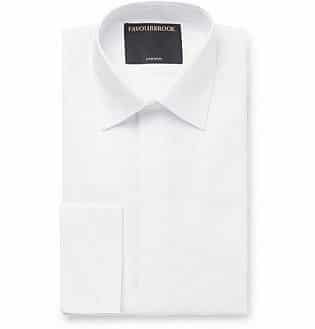 A classic white turn down collared dress shirt in a high-quality fabric is what you should opt for. Clean, minimalist, timeless. 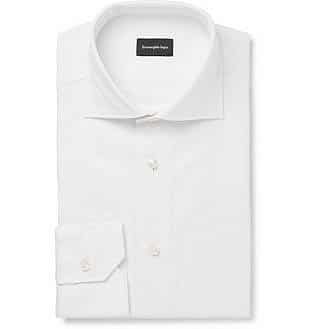 Keep things simple, ensuring your dress shirt is not convoluted, certifying it doesn’t distract from the other minimalistic elements of classic black tie attire. 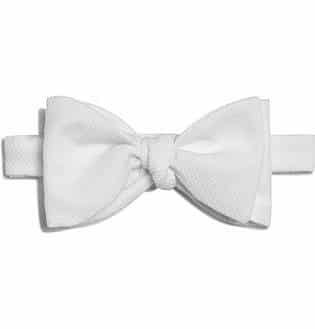 Black tie attire traditionally calls for a bow tie. 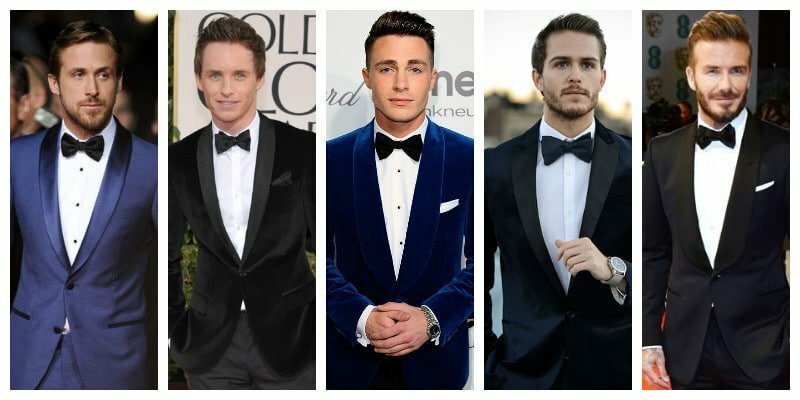 Selecting one that’s black or that matches to the facing of your tux is standard, but do not feel too limited by this traditionalist approach. Today, there are several ways to diversify your look without breaking all the rules. 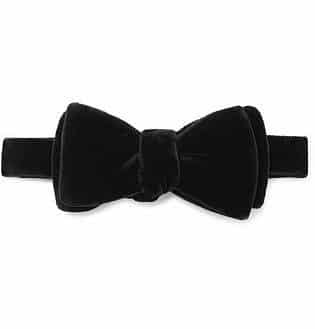 For a fashion-forward take, try opting for an oversized bow tie or consider experimenting with different textures, such as luxurious velvet. 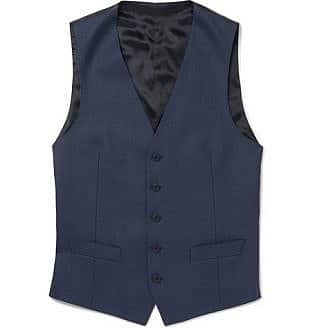 Although not strictly necessary, a waistcoat can make an excellent addition to a black tie ensemble. 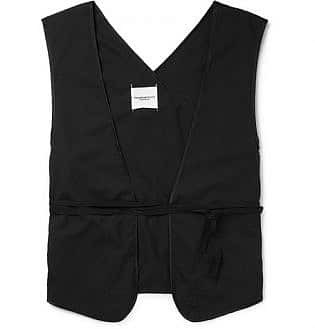 Perfect for injecting interest into an otherwise simple outfit, a waistcoat is a smart and stylish menswear item. 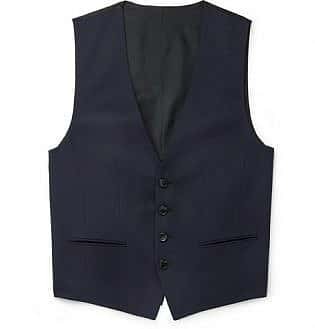 For a classic appearance, select a traditional black waistcoat. For a look that’s a little bit more exciting, choose a style with unique details or in a textured fabric. 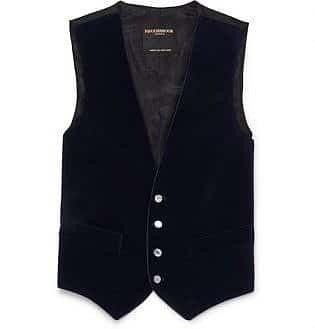 You can also consider a waistcoat in a dark hue other than black if you really want to mix things up, but don’t go too bold. 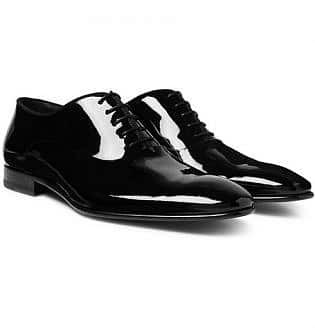 Patent leather dress shoes are suitable for black tie looks. 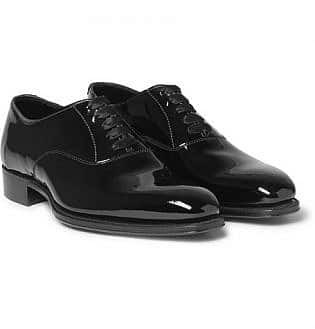 In particular, patent Oxford shoes make a perfect choice. To don a pair, keep things classic but highly youthful with a slightly narrow, round-toed style. 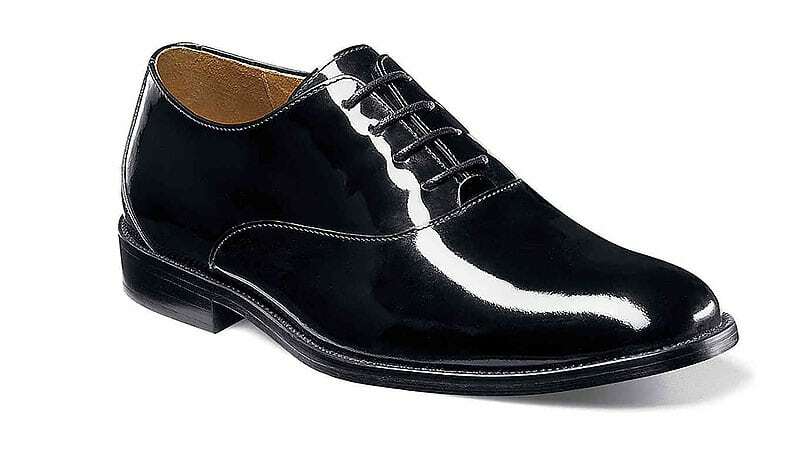 Not only will such a pair ensure you appear suitably dapper, but they’ll also come across as seriously fashionable. 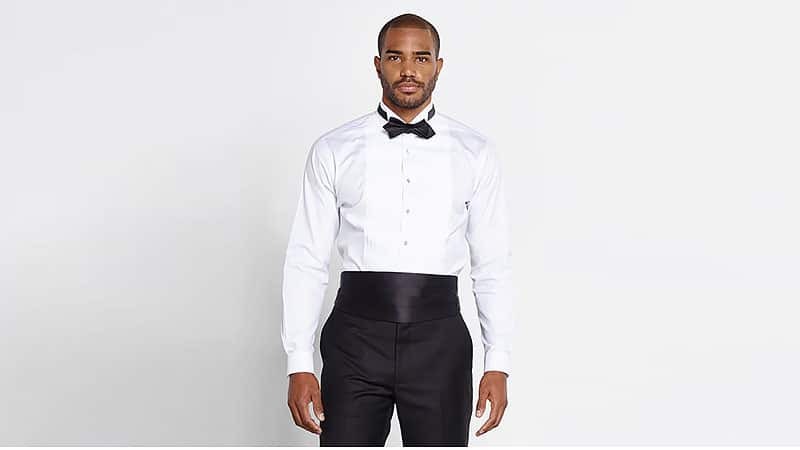 For those who are unfamiliar, a cumberbund is a piece of material that sits at the top of your suit trousers and the bottom of your shirt. It is traditionally made from silk or satin and typically worn with a tuxedo or single-breasted dinner suit for a formal appearance. To wear one, all you need to do is place it around the lower half of your waist and fasten it securely at the back. 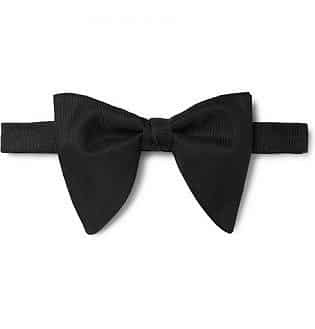 Also, note that if your bow tie is a colour other than black, your cumberbund should match. 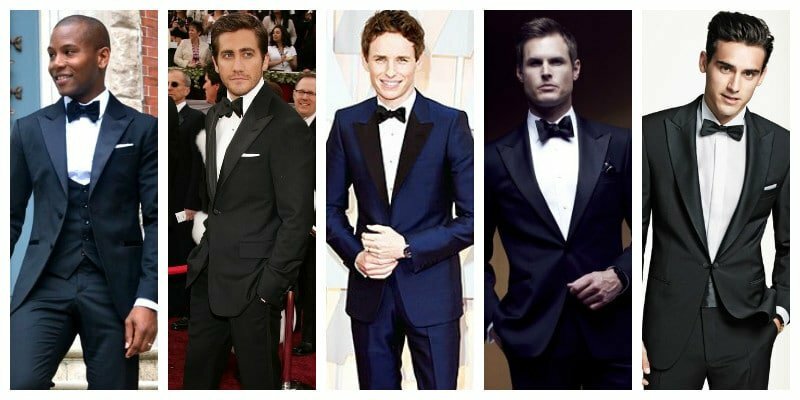 A little bit of diversity can go a long way when it comes to finalising your black tie looks. Opt for satin scarves for a vintage nod that’s not too conspicuous and keep cufflinks simple. As usual, ensure that your hair and grooming are perfect. 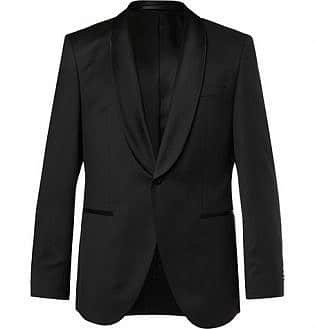 Your signature scent for Black tie looks should be something daring, stark and prominent, which will lend an additional dimension to a well-tailored tux that is notable and worth remembering. 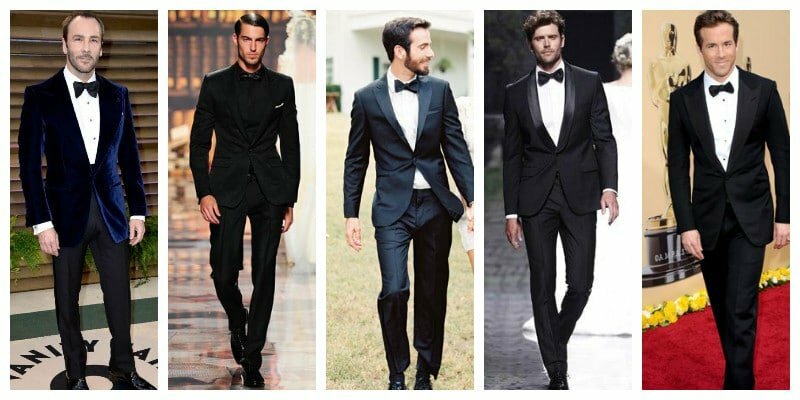 If you’re specifically heading to a black-tie wedding, a black tuxedo makes the most appropriate option. Aim to keep the overall appearance simple by opting for a single-breasted style with a sharp, minimalistic appeal. Also, remember that a slim cut tends to be the most flattering and will keep your style suitably modern. 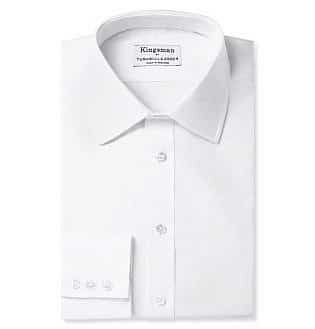 When it comes to your shirt, select a smart white dress shirt featuring a turndown or wing collar. 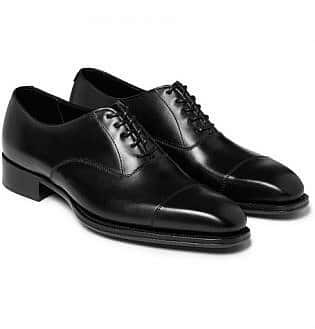 Then, complete your look with a black bow tie and leather dress shoes. 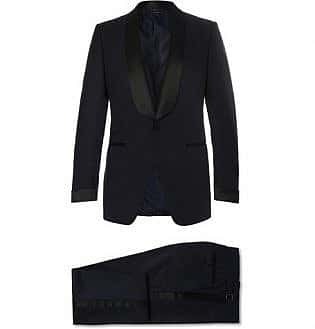 Wear a well-tailored tuxedo for a classic and appropriate appearance. Select a jacket with a peak lapel for a structured look or a shawl lapel for a minimalistic style. 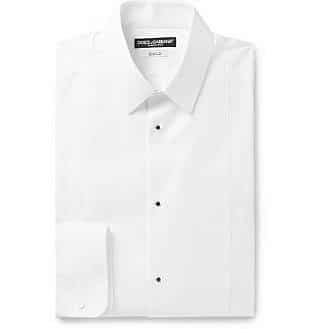 Complement your tux with a classic white dress shirt in high-quality fabric. 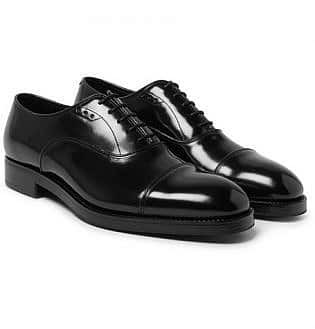 For footwear, patent leather dress shoes are the best choice. Be sure to complete your look with a bow tie. If you want to diversify your outfit, consider adding a satin scarf or unique cufflinks.